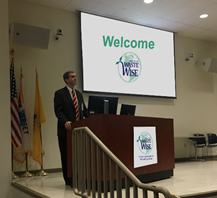 The mission of the Office of Sustainability is to create opportunities to promote and implement sustainability principles and programs that support New Jersey’s communities and businesses and will enable the State to achieve its legislatively mandated 60% total solid waste recycling goal and its 50% municipal solid waste recycling goal. 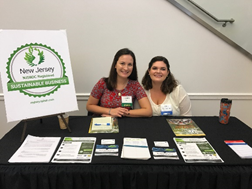 Staff from the Office of Sustainability work on and support; The New Jersey WasteWise Business Network, the Sustainability Speaker Series, Sustainable Jersey, and the New Jersey Sustainable Business Registry. 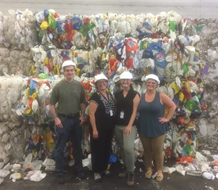 Staff also develops a variety of sustainability related educational and outreach materials, manages awards and contests and supports New Jersey Higher Education Sustainability programs.